Little blood was spilled on the Kenilworth battlefield as owners Ingrid and Markus Jooste and trainer Joey Ramsden swatted aside the opposition, winning race after race at Saturday’s prestigious Cape Guineas meeting. 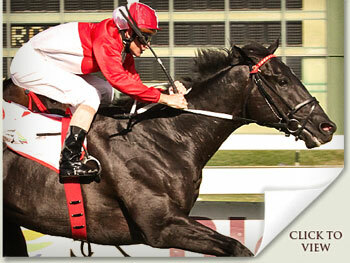 Their day of triumph was crowned by the thumping victory of Act Of War in the Grade 1 Grand Parade Cape Guineas. 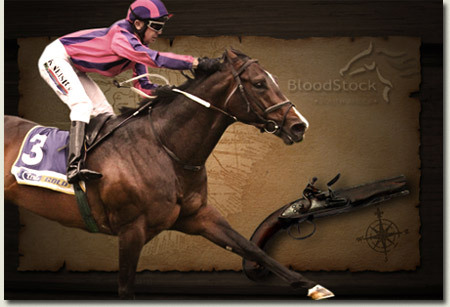 Who are your Cape Guineas Greats? The Grand Parade Cape Guineas, due to be run at Kenilworth next Saturday, has a long and rich history and has been won by some of the greatest thoroughbreds ever bred in South Africa. Earlier Guineas winners include the legends Hawaii, Politician, Colorado King and Empress Club – to name a few. But who have been the most memorable winners of recent times? Racing PostCapetown Noir destroyed the opposition Saturday in the Cape Premier Yearling Sales Guineas giving Dean Kannemeyer his fifth Cape Guineas win in nine years; justifying some massive market support. The 9-10 shot, available at 11-5 two days earlier, was unleashed by jockey Karl Neisius over two furlongs out and he strode clear to beat 35-1 shot Chave De Oura by three-and-a-quarter lengths with Black Toga and King Of Pain filling the places. The winner is owned by Lady Christine Laidlaw who also has horses in training in Ireland and was celebrating her 25th wedding anniversary as well as her husband’s 70th birthday. The revs are up, and it’s all action in Helen Zille’s stronghold down in the Western Cape for Saturday’s R1million Cape Of Good Hope Guineas. The local contingent are extremely bullish about their chances, and especially ominous for the travellers, is Dean Kannemeyer’s opinion of his own entry, Capetown Noir. There’s no stable in the country with a record to equal his and his father Peter’s, with eight Guineas victories between them, and Dean rates this one up there with the best of his predecessors. If you think that’s war talk, at least we know that he knows what he’s talking about, having sent out Noordhoek Flyer in the same Lady Laidlaw’s yellow and black silks to claim the laurels as recently as 2010. Dean says that what beats him, will win the race, though he means no disrespect to the opposition. While he thought Capetown Noir was a touch unlucky in the Selangor Cup last month in his struggle for a run, he acknowledged Joey Ramsden’s winner, King Of Pain was conceding his horse a kilo and a half, and that there’s leeway in that alone. Although Sean Tarry’s The Hangman had done little wrong on his march to Table Mountain, with a Group One victory in Durban as a juvenile, and an impressive surge for the big money in The Dingaans (Gr.2) last time at the races, he was yesterday scratched. Yes, Act Fast, Black Toga and Paterfamilias all have claims on the Selangor form, but the real protagonists appear to be, in the minds of the public at least, confined to Capetown Noir and King Of Pain. It seems though, that the lessons of history have been forgotten. While most of the colonial action in this country in the 19th century took place around Cape Town, Johannesburg and Pretoria, people forget that the greatest military moments in the glorious histories of the British Empire, the Boers and the Zulus, took place within a few hours of Summerhill. They also seem to have forgotten where Love Struck came from, and we’d be surprised if he’s not dishing up a bit of his own brand of cheek when he gets to the business end on Saturday. Whatever happens, this one will be worth tuning in for, and if you miss the race, we’ll have it up on this site during the course of the weekend. Gold CircleThe Paul Lafferty-trainedGrade 1 Cape Premier Yearling Sales Guineas contender Love Struck travelled down to Cape Town a day or two after winning the Listed Guineas Trial at Clairwood over 1600m on November 18 and has been staying at Shane Humby’s Milnerton yard. 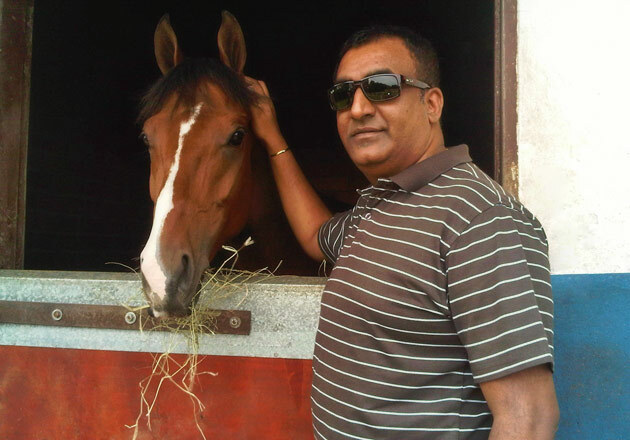 Alesh Naidoo, one of his owners, drew the magical number one berth when there was apparently only that one together with barriers eight and twelve remaining in the draw. The rangy Summerhill-bred gelding finished third in the Grade 1 Premier’s Champion Stakes over 1600m at Greyville, also from pole position, in his last start as a two-year-old and will have to find three lengths on The Hangman from that race. However, The Hangman will have to deal with a tricky draw of six in the twelve horse field. Love Struck has impressed in his last two starts, winning a Graduation Plate over 1400m at Scottsville by 6,25 lengths before giving the field 2kg and a 1,75 length beating in the Guineas Trial. On a line through Guineas Trial third-placed Wild One, he has a chance. He gave Wild One 2kg and a 4,75 length beating, while The Hangman only beat Wild One by five lengths in the level weights Dingaans despite the latter’s jockey carrying about 1kg overweight. However, it has to be said that Wild One was still very green in the Guineas Trial. There’s an almighty war brewing this weekend. History tells us that KwaZulu-Natal has been the traditional battleground between the tribes that eventually made up the fabric of the nation, and while that may also apply to the racing world when we get to the championship events that define the season in May, June and July, the opening salvo among sophomores has always been the Cape of Good Hope Guineas (also known as the Cape Premier Yearling Sales Guineas (Gr.1). The entrants inevitably include a bunch of budding youngsters whose reputations are fresh and largely undented, so expectations are high and hopes are in the stratosphere. With few exceptions, the field embraces the protem leaders in their respective provinces, and this year is no different. The host region is headed up by the first four home in the principal Guineas trial, the Selangor Cup (Gr.2), Joey Ramsden’s narrow winner King Of Pain, seven-time Guineas-winning trainer, Dean Kannemeyer’s Capetown Noir, whose late charge told us he may be the better of the first two over the extra furlong, Act Fast and the fast-improving Trippi colt, Paterfamilias, who has a good “Derby” look to him. While Jo’burg form had been confused by the fact that they’d been beating one another early in the season, The Hangman’s authoritative victory over the additional furlong in the Dingaans (Gr.2), left no doubt as to whom the dominant one is at this stage, and Sean Tarry’s charge goes to Cape Town with a big reputation to look after. If the betting is anything to go by, it seems Western Cape bookmakers have scant regard for the form in KwaZulu-Natal, where the generation leader, by some stretch, is Summerhill-bred Love Struck. Mind you, the Cape have made that mistake before on the rugby field at considerable cost, and if owners Alesh Naidoo and Anthony Govender’s pronouncements on his well-being are anything to judge him by, Love Struck could just be the value in Saturday’s field. We’ll be talking to a few of the principals during the week, and we’ll keep you posted. If there’s one spin-off for South African racing in the suspension of our exports, it rests in the quality of our domestic fields, none more so than in the three-year-old brigade. 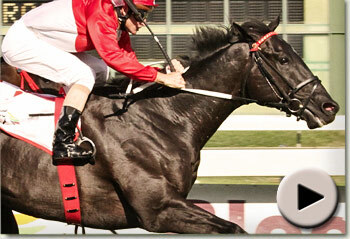 This weekend marks the running of one of our tried and tested classics, the Cape Of Good Hope Guineas (Gr1). Championed over many decades by the Chef’s de Race; names such as Colorado King (1963), Renounce (1965), Hawaii (1968), Politician (1980 and 1981), Empress Club (1992), London News (1997), Jet Master (1998), Horse Chestnut (1999), Captain Al (2000) and Jay Peg (2006), this year’s renewal is about as good as any we’ve known, with Cape trainers appearing to hold the upper hand. Joey Ramsden is of the opinion that his Selangor Cup (Gr2) hero, Variety Club, is the best three-year-old in the land, while there is a body of opinion that believes that honour belongs to Justin Snaith’sOratorio colt, Gimmethegreenlight. But the truth is, Dean Kannemeyer, who between himself and his father, have collared six renewals, has arguably his strongest entry ever, including the as-yet undefeated Divine Jet. It is true that the latter has yet to meet a field of this quality, but the manner of his victories to date, suggests he will be right there when it matters, despite his wide draw. That’s not the end of the story though, as there were any number of opinions flying around at Bernard Kantor’s excellent party in Robertson on Saturday night, including a powerful vote for Mike de Kock’sSilver Flyer, runaway winner of the Dingaans (Gr2). Let’s not forget though, that we have an unbeaten filly in the field, Princess Victoria, who couldn’t have been more impressive in the manner in which she’s smothered her own sorority thus far, so it will be a measure of the quality of the distaffers in how she fares against the colts on Saturday. Either way, as disappointing as it is that we’ve not been able to send our usual compliment of horses to take on the world in Dubai and show them just how good we are, there’s consolation for local fans in Saturday’s line-up. While on the subject of Bernard’s party, we were all there to celebrate the many positive things that are happening in our racing, breeding and sales environments right now, and in the interests of not spoiling the party, we’ll tell you more about that in tomorrow’s episode. One man who’s grinning from ear to ear this week is Mike Rattray. The man who brought the Santa Gertrudis cattle breed to South Africa, founded Mala Mala game reserve and imported multiple champion sire Western Winter, has no need to bother where his next stallion is coming from. In the R1million Bloodstock SA Cape Guineas (Gr.1) on Saturday, his Solo Traveller(son of Western Winter) went to the top of the Three-Year-Old class with a famous victory over a deep entry of sophomores, including his principal Cape rival, What A Winter (also Western Winter), and Mike de Kock’s pair of Perana (Rock Of Gibraltar) and Kavanagh(Tiger Ridge). Whether this lot will measure up to last year’s remains to be seen, but if Robert Bloomberg’s prophecy is correct, there’s depth to the crop, as the first five or six finished within a couple of lengths of each other. One thing’s for sure, the race was a triumph for Justin Snaith and his team. Not only were they first and second across the line, but they earlier won the Fillies’ version, and it seems from Justin’s comments, that there are big things in store for Solo Traveller. It’s conceivable he will go the route that put Horse Chestnut on the map, and toss his ticket into the sweep for the J&B Met at the end of January. The trip shouldn’t be a problem, given that his dam is a daughter of the former champion sire Jallad, and comes from a family with no shortage of stamina. Western Winter gets them to go from 1000m t0 3200m. www.goldcircle.co.zaSolo Traveller became the first progeny of former champion sire Western Winter to win the Bloodstock SA Cape Guineas at Kenilworth on Saturday and the race was a triumph for Mike Rattray’s Lammerskraal Stud but even more so for trainer Justin Snaith and jockey Bernard Fayd’Herbe. Justin Snaith and Bernard Fayd’Herbe claimed a Cape Guineas double, having won the fillies’ version two weeks ago with the exciting Ebony Flyer. Snaith nearly achieved the same three years ago with filly winner Captain’s Lover and colt runner up Russian Sage, but this was in fact his first triumph in the male version of the race. He made sure of it, claiming a one-two as his Dynasty colt Run For It finished strongly for second. The last trainer to do the Guineas double was the maestro Terrance Millard whose filly Star Effort won both races twenty seasons ago in the 1990/1991 season. Lammerskraal Stud’s Sally Jordaan was thrilled with the victory. She and Mike Rattray choose only a couple of colts from each crop to race themselves every season so it is highly rewarding when they get it right as they have with Solo Traveller. Fayd’Herbe had to ride Solo Traveller very strongly in the closing stages, but the horse responded by hitting another gear and his long stride took him through a gap and past Kavanagh. Fayd’Herbe said that the tougher the circumstances the better Solo Traveller liked it. He added that Solo Traveller was still “underdone” so should come on for the run. Solo Traveller is a full-brother to Strawberry Ice who finished second in last season’s KRA Fillies Guineas and was never tried beyond a mile. However, his relaxed demeanour in the running coupled with his long stride and tough character will give him every chance of staying the 2000m of the J&B Met. Furthermore his second dam Taineberry won the Grade 2 Natal Oaks over 2400m. Snaith intimated that Solo Traveller would go for the Met as he felt this season’s three-year-old crop were strong particularly in relation to the older horses still left in the country. Run For It, who did not have a clear path in the Selangor, relished the longer straight not to mention the skill of Felix Coetzee. He had to be switched around the front bunch to get a run, but it is unlikely he would have beaten Solo Traveller with a straighter path as the latter ran all the way to the line and probably would have found extra if challenged. Snaith intimated that Run For it would be aimed at the Grade 1 Cape Derby over 2000m on J&B Met day. Run For It does have a Vodacom Durban July look about him. Mike de Kock must have been disappointed once again with Kavanagh, whom he rates highly. Kavanagh quickened very well into the lead, but could not stave off the challengers in the final 100m for the third time in his short career to date. There is no way that jockey Johnny Geroudis could have waited any longer with him as he was behind King Fahiem who had begun to fade. Perana ran a fine race, staying on well. He will be a big runner in the Grade 1 Cape Derby or J&B Met, whichever one he targets, as he clearly needs further. Il Saggiatore also caught the eye as a Cape Derby prospect. He lost two lengths at the start and turned for home last, but was finishing very strongly and was just 2,6 lengths back at the line. Fifth-placed M’Lords Throat ran an excellent race considering he had to come from a very wide draw. He fought on courageously for a long time in the straight from his handy position. Many will say that the race proved that What A Winter, who finished a 2,35 length sixth, didn’t stay. However, he was firstly caught three wide, secondly had to come from a long way back and thirdly appeared to be running on perfectly well until the whip was drawn. He then appeared to become unbalanced and lugged in. Or are they “Paper Tigers”? There’s a helluva scrap brewing in the Western Cape. As the Proteas take on India in Pretoria, the nation’s “Mother City” is cooking up another kind of storm, unrelated to the South-Easter which has been blasting Cape Town for the past several days. Last year, racing fans were treated to a series of staggering performances from one of the deepest and most talented crops of Three-Year-Old colts our sport had ever witnessed. Any one of Irish Flame, Pierre Jourdan, Bold Silvano, Noordhoek Flyer, Bravura or Ancestral Fore, and even Curved Ball or Galileo’s Galaxy might have been champions in any other year. Readers of these columns will remember the Summerhill mantra going into the 2009 Emperors Palace Ready To Run Sale, that this was meant to be the “Year of the Filly”. Ebony Flyer, Igugu and Hollywoodboulevard (the latter two both graduates of our draft at that sale), have revealed just how prophetic that judgment has turned out to be, but it seems the colts may be serving up a dish almost as formidable. You’ll never know just how good the Cape’s What A Winter and Solo Traveller or Perana and Kavanagh(from Gauteng) really are, till they’ve faced-up to one another and then eventually been tested against their elders, but for the time being at least, the prospect of an all out “North vs South” war in Saturday’s Bloodstock SA Cape Guineas, beckons. One man who won’t be budged from a powerful conviction that these four will stand comparison in time with those of last season, is Robert Bloomberg. He knows this game as well as anybody, and he puts down more money than most. When he speaks, we listen. Best tune-in to Tellytrack DSTV Channel 232 Saturday, and give the cricket a break.